In 2016, Monnaie de Paris launched a new series that pays tribute to French History through the women who have had an influence on various areas culture, such as politics and art. This series uses the same historical strike that was used in the From Clovis to the Republic series and goes even further: the hammer effect has been replaced by textile patterns representative of the time depicted. 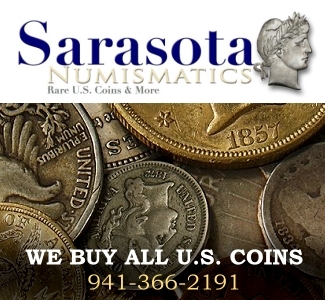 This characteristic that brings an additional technical challenge at the time of the strike allows to enrich the drawing of each coin. This series started with three famous women from the middle ages period: Queen Clotilde, Queen Mathilda and Joan of Arc. In 2017, three other historical figures were highlighted: Catherine de Médicis, Marquise de Pompadour and Olympe de Gouges. In 2018, the series will focus on the 19th century by honoring a French empress, a Queen of Sweden and a woman of letters. Born as Marie Josèphe Rose Tascher de La Pagerie, Joséphine de Beauharnais (1763-1814) was the first wife of Napoleon I. Thanks to this union, she became Empress of the French people between 1804 and 1809 and Queen of Italy from 1805 to 1809. She was passionate for fashion and gained renown in this field, creating trends. Moreover, she was interested in botany and practiced this activity at Malmaison Castle, her famous last house. Relating to her origins, she was nicknamed “The Creole Beauty” and moved to the French metropolis thanks to her wedding to Alexandre de Beauharnais, who was a symbol of the French Revolution. At first, he was set to marry Joséphine’s little sister, but she died from tuberculosis at the age of 12. Subsequently, Alexandre agreed to marry Joséphine. They were wed in 1779 and had two children: Eugène-Rose (1781-1824), who was Viceroy of Italy, and Hortense Eugène Cécile (1783-1837), who married a brother of Napoleon. Together, Hortense and Napoleon’s brother had the future Napoleon III and the Duke of Morny. Nonetheless, Joséphine and Alexandre were unhappy because of his multiple relationships with other women, separating in 1785. Alexandre dies in 1794. After that, Joséphine met General Napoleon in 1795 thanks to Barras, one of her lovers. The ex-wife Beauharnais agreed to marry Napoleon. More precisely, she engaged to have financial stability and a suitable position in society. On the other hand, Napoleon was so in love, not to mention jealous and possessive, that he decided to change her very name from Josèphe to Joséphine; making sure it was not pronounced by other men. They got married in 1796. 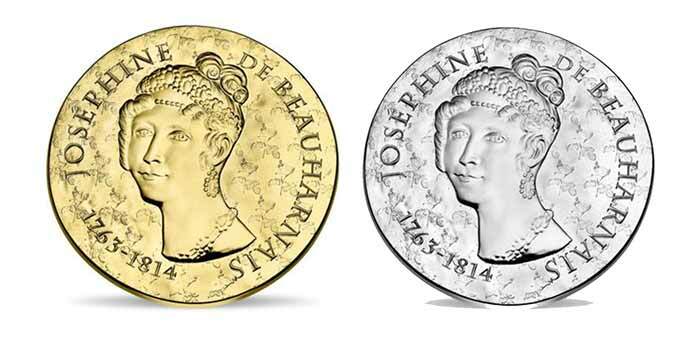 Joséphine was crowned empress by Napoleon in 1804, at the same time of his imperial consecration. The imperial couple were unable to have children together, and it became a matter of state that led to divorce in 1809. Joséphine died in the Malmaison Castle on the 29th of March 1814 due to pneumonia. The observe shows Joséphine’s portrait surrounded by her dates and name. The background of the coin depicts one of the tapestries which can be found in the Malmaison Castle. This 17th-century castle was bought by Joséphine in 1799. It was the Bonaparte familial house and became one of the French Government’s location between 1800 and 1802. Inside the castle, we could find different rooms garnished with marble, gilding, mosaic and also a rich collection of artwork painted at the beginning of Napoleon’s reign. When the couple got separated, Joséphine kept the castle and died there in 1814. The reverse shows the scene of Joséphine coronation as Empress by Napoleon I in 1804. This famous scene was painted by Jacques-Louis David, Le Sacre de Napoléon in 1804. This artwork is exhibited at the Louvre Museum, in Paris. The background, beaded by bees, is reminiscent of symbols of the First Empire and Napoleon I. Arcing around the scene, starting from the middle left side and continuing to the middle right, is the inscription COURONNEMENT DE JOSÉPHINE 1804. Beneath it and at the bottom of the reverse are the initials RF for the French Republic, the denomination (10 EURO for silver, 50 EURO for gold), and the date of issuance 2018. To the left of the date is a cornucopia, the Monnaie de Paris mintmark. 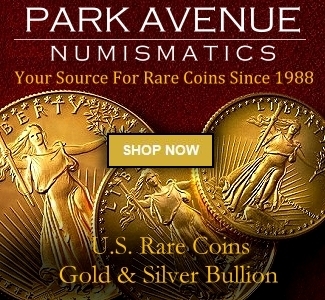 In a similar position on the opposite side is the mark of current Monnaie de Paris mint master Yves Sampo–a pentagon containing the letters AG, MP and YS. 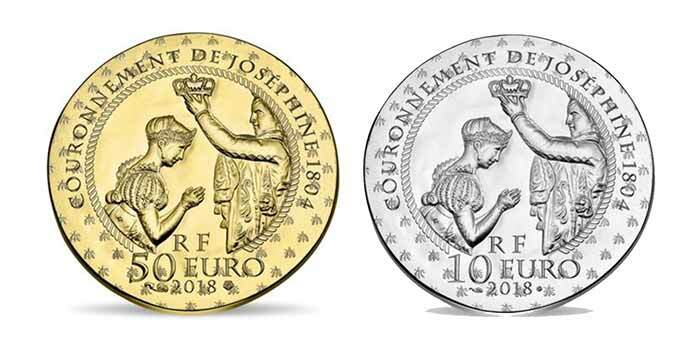 The edge of the 2018 Women of France – Joséphine de Beauharnais Commemorative Coin is smooth.